Car shoppers in Alliance, did you know that you are less than ten minutes from our Chrysler Dodge Jeep RAM dealer? You are just a short ride down the road to experiencing quality cars coupled with great service. We are proud to be your one-stop-shop for everything automotive. We help you find the car you have been eyeing a price that you can afford. Everything from simple maintenance to full-on body repair we can help you with in as soon as possible. Looking for an appointment in Alliance? You are just a short ride down the road to experiencing a superb car buying experience. 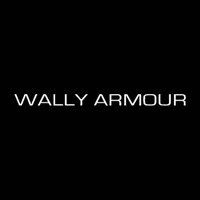 As the premier dealer in Alliance, our new inventory at Wally Armour Chrysler Dodge Jeep Ram is a wonderful location for a superb car buying experience. For more information, contact our RAM dealer near Minerva, please give us a call at (877) 328-0325 today!